Originally envisioned in 1964, the initial 737-100 first flew in 1967, and entered airline service in February 1968. It was followed by the lengthened 737-200, which entered service in April 1968. In the 1980s, Boeing launched the -300, -400, and -500 models, subsequently referred to as the Boeing 737 Classic series. The 737 Classics added capacity and incorporated CFM56 turbofan engines along with wing improvements. In the 1990s, Boeing introduced the 737 Next Generation with multiple changes including a redesigned wing, upgraded cockpit, and new interior. The 737 Next Generation comprises the four -600, -700, -800, and -900ER models, ranging from 102 ft (31.09 m) to 138 ft (42.06 m) in length. Boeing Business Jet versions of the 737 Next Generation are also produced. Boeing had been studying short-haul jet aircraft designs and wanted to produce another aircraft to supplement the 727 on short and thin routes. Preliminary design work began on 11 May 1964, and Boeing's intense market research yielded plans for a 50- to 60-passenger airliner for routes 50 to 1,000 mi (80 to 1,600 km) long. Lufthansa became the launch customer on 19 February 1965, with an order for 22 aircraft, worth $67 million (1965, $190.28 million in 2008), after the airline, it was reported, received assurances from Boeing that the 737 project would not be cancelled. Consultation with Lufthansa over the previous winter resulted in an increase in capacity to 100 seats. Picture - The prototype 737, a -100 operated by NASA for testing. On April 5, 1965, Boeing announced an order by United Airlines for 40 737s. United wanted a slightly larger airplane than the original design; therefore, Boeing stretched the fuselage an extra 91 centimetres (36 in) ahead of, and 102 centimetres (40 in) behind the wing. The longer version was designated 737-200, with the original short-body aircraft becoming the 737-100. Detailed design work continued on both variants at the same time. Boeing was far behind its competitors when the 737 was launched, as rival aircraft BAC 1-11, Douglas DC-9, and Fokker F28 were already into flight certification. To expedite development, Boeing utilized 60% of the structure and systems of the existing 727, the most notable being the fuselage cross-section. This fuselage permitted six-abreast seating compared to the rival 1-11 and DC-9's five-abreast layout, but the widened cross-section and short fuselage complicated the aerodynamics of the aft-mounted engines common with airliners of the time. As a result, engineers decided to mount the nacelles directly to the underside of the wings. The placement of this weight below the center of the aircraft also reduced stresses on the airframe, which allowed for a lighter wing, and kept the engines low to the ground for easy ramp operations. The engine chosen was the Pratt & Whitney JT8D-1 low-bypass ratio turbofan engine. With the wing-mounted engines, Boeing decided to mount the horizontal stabilizer on the fuselage rather than the T-tail style of the Boeing 727. The initial assembly of the 737 was adjacent to Boeing Field (now officially called King County International Airport) because the factory in Renton was at capacity building the 707 and 727. After 271 aircraft, production was moved to Renton in late 1970. A significant portion of the fuselage assembly is in Wichita, Kansas previously by Boeing but now by Spirit AeroSystems, which purchased some of Boeing's assets in Wichita. The fuselage is joined with the wings and landing gear, then moves down the assembly line for the engines, avionics, and interiors. After rolling out the aircraft, Boeing tests the systems and engines before its maiden flight to Boeing Field, where it is painted and fine-tuned before delivery to the customer. The first of six -100 prototypes rolled out in December 1966, and made its maiden flight on 9 April 1967 piloted by Brien Wygle and Lew Wallick. During nearly 1,300 hours of flight-testing, it was discovered that the aircraft produced excess drag at high speeds, which could buckle the rear wing spar at loads only 34% above normal. 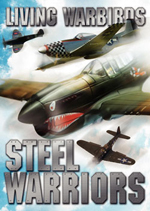 The aircraft were modified with reinforcements, but at a cost to the weight and short-field performance. On December 15, 1967 the Federal Aviation Administration certified the -100 for commercial flight, issuing Type Certificate A16WE. The 737 was the first aircraft to have, as part of its initial certification, approval for Category II approaches. Lufthansa received their first aircraft on December 28, 1967 and on February 10, 1968 became the first non-American airline to launch a new Boeing aircraft. 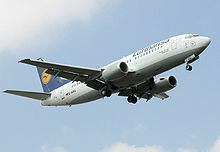 Lufthansa was the only significant customer to purchase the 737-100, and only 30 aircraft were ever produced. The 737-200 had its maiden flight on August 8, 1967. It was certified by the FAA on December 21, 1967, and the inaugural flight for United was on April 28, 1968 from Chicago to Grand Rapids, Michigan. The lengthened -200 was widely preferred over the -100 by airlines. In 1968, an improvement to the thrust reversal system was introduced. The improvement became standard on all aircraft after March 1969, and a retrofit was provided for active aircraft. Boeing fixed the drag issue by introducing new longer nacelle/wing fairings, and improved the airflow over the flaps and slats. The production line also introduced an improvement to the flap system, allowing increased use during takeoff and landing. All these changes gave the aircraft a boost to payload and range, and improved the short-field performance. In May 1971, after aircraft #135, all improvements, including more powerful engines and a greater fuel capacity, were incorporated into the 737-200, giving it a 15% increase in payload and range over the original -200s. This became known as the 737-200 Advanced, which became the production standard in June 1971. Picture - Boeing 737-200 Adv planform and exposed landing gear tires are visible on this USAF T-43 takeoff. The rather thin JT8D engines extend past the leading and trailing edges. In 1970, Boeing received only 37 orders. Facing financial difficulties, Boeing considered closing the 737 production-line and selling the design to Japanese aviation companies. After the cancellation of the Boeing Supersonic Transport, and the scaling back of 747 production, enough funds were freed up to continue the project. In a bid to increase sales by offering a variety of options, Boeing offered a 737C (Convertible) model in both -100 and -200 lengths. This model featured a 340 x� 221 cm (130 x� 87 in) freight door just behind the cockpit, and a strengthened floor with rollers, which allowed for palletized cargo. A 737QC (Quick Change) version with palletized seating allowed for faster configuration changes between cargo and passenger flights. With the improved short-field capabilities of the 737, Boeing offered the option on the -200 of the gravel kit, which enables this aircraft to operate on remote, unpaved runways. Until retiring its -200 fleet in 2007, Alaska Airlines used this option for some of its rural operations in Alaska. With the retirement of these aircraft, some airports, such as Red Dog Airport, have upgraded runway facilities from gravel to paved. In 1988, the initial production run of the -200 model ended after producing 1,114 737 aircraft. The last one was delivered to Xiamen Airlines on August 8, 1988. The CFM56-3B-1 high-bypass turbofan engine was chosen to power the aircraft, which yielded significant gains in fuel economy and a reduction in noise, but also posed an engineering challenge, given the low ground clearance of the 737 and the larger diameter of the engine over the original Pratt & Whitney engines. Boeing and engine supplier CFMI solved the problem by placing the engine ahead of the wing, and by moving engine accessories to the sides of the engine pod, giving the engine a distinctive non-circular "hamster pouch" air intake. Picture - Transaero 737-400 in planform view at takeoff. The stubbier CFM56 engines are mounted ahead of the wings. The passenger capacity of the aircraft was increased to 149 by extending the fuselage around the wing by 2.87 metres (9 ft 5 in). The wing incorporated a number of changes for improved aerodynamics. The wing tip was extended 9 in (23 cm), and the wing span by 1 ft 9 in (53 cm). The leading-edge slats and trailing-edge flaps were adjusted. The flight deck was improved with the optional EFIS (Electronic Flight Instrumentation System), and the passenger cabin incorporated improvements similar to those developed on the Boeing 757. The prototype -300, the 1,001st 737 built, first flew on 24 February 1984 with pilot Jim McRoberts. It and two production aircraft flew a nine-month-long certification program. In June 1986, Boeing announced the development of the 737-400, which stretched the fuselage a further 10 ft (3.0 m), increasing the passenger load to 170. The -400s first flight was on February 19, 1988 and, after a seven-month/500-hour flight-testing run, entered service with Piedmont Airlines that October. The -500 series was offered, due to customer demand, as a modern and direct replacement of the 737-200. It incorporated the improvements of the 737 Classic series, allowing longer routes with fewer passengers to be more economical than with the 737-300. The fuselage length of the -500 is 1 ft 7 in (48 cm) longer than the 737-200, accommodating up to 132 passengers. Both glass and older-style mechanical cockpits arrangements were available. Using the CFM56-3 engine also gave a 25% increase in fuel efficiency over the older -200s P&W engines. The 737-500 was launched in 1987 by Southwest Airlines, with an order for 20 aircraft, and flew for the first time on June 30, 1989. A single prototype flew 375 hours for the certification process, and on February 28, 1990, Southwest Airlines received the first delivery. The 737-500 has become a favorite of some Russian airlines, with Aeroflot-Nord (now Nordavia), S7 Airlines, and Rossiya Airlines all buying second-hand models of the aircraft to replace aging Soviet-built aircraft. The price of jet fuel has skyrocketed in the past five years; airlines devoted 40% of the retail price of an air ticket to pay for fuel in 2008, versus 15% in 2000. Consequently, carriers have begun to retire the Classic 737 series to reduce their fleet sizes; replacements consist of more efficient Next Generation 737s or Airbus A320/A319/A318 series aircraft. On June 4, 2008, United Airlines announced it would retire all 94 of its Classic 737 aircraft (64 737-300 and 30 737-500 aircraft), replacing them with Airbus A320 jets taken from its Ted subsidiary, which has been shut down. Picture - Air Berlin 737-700 in Boeing livery, showing blended winglets available on the Next Generation 737 models. 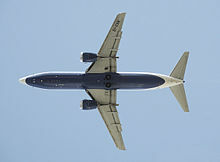 Prompted by the modern Airbus A320, Boeing initiated development of an updated series of aircraft in 1991. After working with potential customers, the 737 Next Generation (NG) program was announced on November 17, 1993. The 737NG encompasses the -600, -700, -800, and -900, and is to date the most significant upgrade of the airframe. The performance of the 737NG is, in essence, that of a new aircraft, but important commonality is retained from previous 737 models. The wing was redesigned with a new airfoil section, greater chord, increased wing span by 16 ft (4.9 m) and area by 25%, which increased total fuel capacity by 30%. New, quieter, more fuel-efficient CFM56-7B engines were used. The wing, engine, and fuel capacity improvements combined increase the 737's range by 900 nautical miles to over 3,000 nautical miles (5,600 km), now permitting transcontinental service. With the increased fuel capacity, higher maximum takeoff weight (MTOW) specifications are offered. The 737NG included redesigned vertical stabilizers, and winglets were available on most models. The flight deck was upgraded with modern avionics, and passenger cabin improvements similar to those on the Boeing 777, including more curved surfaces and larger overhead bins than previous-generation 737s. The Next Generation 737 interior was also adopted on the Boeing 757-300. The first NG to roll out was a -700, on December 8, 1996. This aircraft, the 2,843rd 737 built, first flew on February 9, 1997. The prototype -800 rolled out on June 30, 1997 and first flew on July 31, 1997. The smallest of the new variants, the -600s, is the same size as the -500. 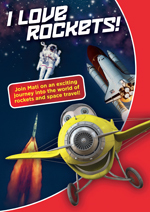 It was the last in this series to launch, in December 1997. First flying January 22, 1998, it was given certification on August 18, 1998. A flight test program was operated by 10 aircraft; 3 -600s, 4 -700s, and 3 -800s. In 2004, Boeing offered a Short Field Performance package in response to the needs of Gol Transportes A�reos, which frequently operates from restricted airports. The enhancements improve takeoff and landing performance. The optional package is available for the 737NG models and standard equipment for the 737-900ER. The CFM56-7B Evolution nacelle began testing in August 2009 to be used on the new 737 PIP (Performance Improvement Package) due to enter service mid-2011. This new improvement is said to shave at least 1% off overall drag and have some weight benefits. Overall, it is claimed to have a 2% improvement on fuel burn on longer stages. New interior options for the 737NG in 2010 included the 787-style Boeing Sky Interior. Designed using Boeing's new cabin concepts, the Sky Interior features sculpted sidewalls and redesigned window housings, along with increased headroom and LED mood lighting. Larger pivot-bins similar to those on the 777 and 787 have more luggage space than prior designs. The Sky Interior is also designed to improve cabin noise levels by 2-4 dB. The first 737 equipped with the Boeing Sky Interior was delivered to Flydubai in the fourth quarter of 2010. Other airlines are beginning to receive 737NGs the Sky Interior in 2011. Boeing delivered the 5,000th 737 to Southwest Airlines on February 13, 2006. Boeing delivered the 6,000th 737 to Norwegian Air Shuttle in April 2009. The Airbus A320 family has outsold the 737NG over the past decade, although its order totals include the A321 and A318, which have also rivaled Boeing's 757 and 717, respectively. The 737NG has also outsold the A320 on an annual basis in past years, with the next generation series extending the jetliner's run as the most widely sold and commonly flown airliner family since its introduction. Boeing has already hinted that a "clean sheet" replacement for the 737 (internally dubbed "Boeing Y1") could follow the Boeing 787 Dreamliner. A decision on this replacement has been postponed, and is now expected by early 2011. Picture - Boeing 737-700 showing the retracted landing gear, engine nacelles with flattened underside and triangular shape. To save weight and reduce cost and complexity the 737 lacks full doors to cover the main landing gear. The main landing gear (under the wings at mid-cabin) rotate into wells in the aircraft's belly, the legs being covered by partial doors, and "brush-like" seals aerodynamically smooth (or "fair") the wheels in the wells. The sides of the tires are exposed to the air in flight. "Hub caps" complete the aerodynamic profile of the wheels. It is forbidden to operate without the caps, because they are linked to the ground speed sensor that interfaces with the anti-skid brake system. When observing a 737 takeoff, or at low altitude, the dark circles of the tires can be plainly seen. 737s are not equipped with fuel dump systems. The original aircraft were too small to require them, and adding a fuel dump system to the later, larger variants would have incurred a large weight penalty. Boeing instead demonstrated an "equivalent level of safety". Depending upon the nature of the emergency, 737s either circle to burn off fuel or land overweight. If the latter is the case, the airplane is inspected by maintenance personnel for damage and then returned to service if none is found. Engines on the 737 Classic series (300, 400, 500) and Next-Generation series (600, 700, 800, 900) appear not to have circular inlets, as most aircraft do. The 737 Classic series featured CFM56 turbofan engines, which yielded significant gains in fuel economy and a reduction in noise over the JT8D engines used on the -100 and -200, but also posed an engineering challenge given the low ground clearance of the 737. Boeing and engine supplier CFMI solved the problem by placing the engine ahead of (rather than below) the wing, and by moving engine accessories to the sides (rather than the bottom) of the engine pod, giving the 737 a distinctive non-circular air intake. The wing also incorporated a number of changes for improved aerodynamics. The engines' accessory gearbox was moved from the 6 o'clock position under the engine to the 4 o'clock position (forward looking aft). This was done because the 737 sits lower to the ground than most airliners, and the original 737s were designed for small P&W engines, but additional ground clearance was needed for the larger CFM56 engines. This side-mounted gearbox gives the engine a somewhat triangular rounded shape. Because the engine is close to the ground, 737-300s and later models are more prone to engine foreign-object damage (FOD). The improved CFM56-7 turbofan engine on the 737 Next Generation is 7% more fuel-efficient than the CFM56-3. The primary flight controls are intrinsically safe. In the event of total hydraulic system failure or double engine failure, they will automatically and seamlessly revert to control via servo tab. In this mode, the servo tabs aerodynamically control the elevators and ailerons; these servo tabs are in turn controlled by cables running to the control yoke. The pilot's muscle forces alone control the tabs. The 737 is the only currently-produced passenger aircraft this size or larger that can operate completely without hydraulics. For the 737 Next Generation, a six-screen LCD glass cockpit with modern avionics was implemented while retaining crew commonality with previous generation 737. Most 737 cockpits are equipped with "eyebrow windows" positioned above the main glareshield. Eyebrow windows were a feature of the original 707. They allowed for greater visibility in turns, and offered better sky views if navigating by stars. With modern avionics, they became redundant, and many pilots actually placed newspapers or other objects in them to block out sun glare. They were eliminated from the 737 cockpit design in 2004, although they are still installed in military variants and at customer request. These windows are sometimes removed and plugged, usually during maintenance overhauls and can be distinguished by a metal plug, which differs from smooth metal, which appear in later aircraft that were not originally fitted with the windows. Blended winglets are available as retrofits and in production on newer 737 aircraft. These winglets stand approximately 8 feet (2.4 m) tall and are installed at the wing tips. They help with reduced fuel burn (by reducing vortex drag), reduced engine wear, and less noise on takeoff. As of July 2008 the 737 features carbon brakes manufactured by Messier-Bugatti. These new brakes, now certified by the Federal Aviation Administration, weigh 550-700 lb (250-320 kg) less than the steel brakes normally fitted to the Next-Gen 737s (weight savings depend on whether standard or high-capacity brakes are fitted). A weight reduction of 700 pounds on a Boeing 737-800 results in 0.5% reduction in fuel burn. A short-field design package is available for the 737-600, -700, and -800, allowing operators to fly increased payload to and from airports with runways under 5,000 feet (1,500 m). The package consists of sealed leading edge slats (improved lift), a two-position tail skid (enabling reduced approach speeds), and increased flight spoiler deflection on the ground. These improvements are standard on the 737-900ER. The 737-200 is a 737-100 with an extended fuselage, launched by an order from United Airlines in 1965. The -200 was rolled out on June 29, 1967, and entered service in 1968. The 737-200 Advanced is an improved version of the -200, introduced into service by All Nippon Airways on May 20, 1971. The -200 Advanced has improved aerodynamics, automatic wheel brakes, more powerful engines, more fuel capacity, and longer range than the -200. Boeing also provided the 737-200C (Convertible), which allowed for conversion between passenger and cargo use and the 737-200QC (Quick Change), which facilitated a rapid conversion between roles. The 1,095th and last delivery of a -200 series aircraft was in August 1988 to Xiamen Airlines. A large number of 737-200s are still in service, mostly with "second and third tier" airlines, as well as those of developing nations. In many cases, they are being phased out due to fuel efficiency, noise emissions (despite the vast majority having had their JT8Ds fitted with hush kits), and escalating maintenance costs when compared to their more modern cousins. A key capability of the 737-200, which is not shared with any similarly-sized jet aircraft, is the ability to operate from unimproved landing strips, such as gravel runways with a gravelkit modification installed. Gravel-kitted 737-200 Combis are currently used by Canadian North, First Air, and Air North in northern Canada. For many years, Alaska Airlines made use of gravel-kitted 737-200s to serve Alaska's many unimproved runways across the state. Nineteen 737-200s were converted to be used to train aircraft navigators for the U.S. Air Force, designated T-43. Some were modified into CT-43s, which are used to transport passengers, and one was modified as the NT-43A Radar Test Bed. The first one was delivered on July 31, 1973, and the last on July 19, 1974. The Indonesian Air Force ordered three modified 737-200s, designated Boeing 737-2x9 Surveiller. They were used as Maritime reconnaissance (MPA)/transport aircraft, fitted with SLAMMAR (Side-looking Multi-mission Airborne Radar). The aircraft were delivered between May 1982 and October 1983. After 40 years, the final 737-200 aircraft in the United States flying scheduled passenger service were phased out on March 31, 2008, with the last flights of Aloha Airlines (Aloha continues to fly its interisland cargo flights as Aloha Air Cargo). The aircraft had been eliminated from regular-scheduled service in the continental United States in 2006, when Delta Air Lines withdrew the type, but still sees regular service through North American charter operators such as Sierra Pacific, Pace, SkyKing, Amerijet, and others. The Boeing 737 Classic is the name given to the -300/-400/-500 series of the Boeing 737 after the introduction of the -600/700/800/900 series. 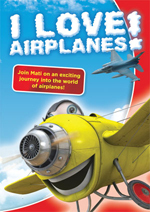 They are American short- to medium-range, single-aisle, narrow-body jet airliners. The Classic series was originally introduced as the 'new generation' of the 737. Produced from 1984 to 2000, 1,988 aircraft were delivered. As of January 1, 2001, 1,945 were in service. The 737-300 was launched in 1981 by both USAir and Southwest Airlines becoming the first model of the 737 Classic series. The aircraft has a typical capacity of 128 passengers in a two-class configuration (137 seats in a one-class coach seating configuration). The 300 series remained in production until 1999 when the 1,113th and last aircraft was delivered to Air New Zealand on December 17, 1999. Various modifications have been made to aircraft previously in service. The 737-300 can be retrofitted with Aviation Partners Boeing winglets. The 737-300 retrofitted with winglets is designated the -300SP (special performance). Used passenger -300 aircraft have also been converted to freighter versions. The Lockheed Martin CATBird is a modified 737-300 with the nose of a Lockheed Martin F-35 Lightning II, a pair of canards, and (inside) an F-35 cockpit; to be used to flight test the F-35's avionics suite. In December 2008, Southwest Airlines selected Boeing to retrofit its 737-300s with new avionics, in order to improve commonality with its 737-700s, as well as to support the Required Navigation Performance initiative. The 737-400 was launched in 1985 as a stretched 737-300, primarily for use by charter airlines. Piedmont Airlines was the launch customer with an order for 25 aircraft in 1986. The first 400 entered service in 1988 with Piedmont. The 486th and last delivery of the -400 occurred on February 25, 2000 to CSA Czech Airlines. The 737-400F was not a model delivered by Boeing but a converted 737-400 to an all cargo aircraft. Alaska Airlines was the first to convert one of its -400s from regular service to an aircraft with the ability to handle 10 pallets. The airline has also converted five more into fixed "combi" aircraft for half passenger and freight. These 737-400 Combi aircraft are now in service. The 737-500 was launched in 1987 by Southwest Airlines and entered service in 1990. The fuselage length of the 737-500 is similar to that of the 737-200, while incorporating the improvements of the 737 Classic series. It offered a modern and direct replacement of the 737-200, while also allowing longer routes with fewer passengers to be more economical than with the 737-300. The 389th and last -500 was delivered to All Nippon Airlines on July 26, 1999. The 737-600 replaced the 737-500 in Boeing's line up, and was also intended to replace airlines' DC-9s. The 737-600 was launched by Scandinavian Airlines System in 1995 with the first aircraft delivered on September 18, 1998. The -600 is the only Boeing 737 still in production that does not include winglets as an option. WestJet was to be the Boeing launch customer for the 737-600 with winglets, but announced in their Q2 2006 results that they would not be going to move ahead with those plans. The 737-600 competes with the Airbus A318, Embraer 195, Sukhoi Superjet 100, and the upcoming Bombardier CSeries jet. A total of 69 -600s have been delivered with no unfilled orders as of 2010. The 737-700 was the first of Next Generation series when launch customer Southwest Airlines ordered the variant in November 1993. The variant was based on the 737-300 and entered service in 1998. It replaced the 737-300 in Boeing's lineup, and its direct competitor is the A319. It seats 126 passengers in a typical two-class layout or up to 149 in all economy configuration. Boeing launched the 737-700ER on 30 January 2006. All Nippon Airways was the launch customer, with the first one delivered on February 16, 2007. The 737-700ER is a mainline passenger version of the BBJ1 and 737-700IGW. It combines the 737-700 fuselage with the wings and landing gear of a 737-800. It offers a range of 5,510 nautical miles (10,205 kilometers), with seating for 126 passengers in a traditional 2-class configuration. A competitor to this model would be the A319LR. The 700ER has the longest range for a 737. The 737-700C is a convertible version in which the seats can be removed from the aircraft to carry cargo. There is a large door on the left side of the aircraft. The US Navy was the launch customer for the 737-700C. 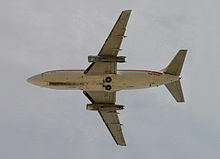 The C-40A Clipper is a 737-700C used by the U.S. Navy as a replacement for the C-9B Skytrain II. The C-40B and C-40C are used by the US Air Force for transport of Generals and other senior leaders. The Boeing 737 AEW&C is a 737-700IGW roughly similar to the 737-700ER. This is an Airborne Early Warning and Control (AEW&C) version of the 737NG. Australia is the first customer (as Project Wedgetail), followed by Turkey and South Korea. At the end of July 2008, Delta Air Lines took delivery of the first of 10 -700 model aircraft fitted with Messier-Bugatti's carbon brakes. All Nippon Airways, Japan’s second-biggest carrier, is to pioneer the models in Asia with a daily service between Tokyo and Mumbai. ANA’s service, believed to be the first all-business class route connecting to a developing country, was to start in September 2007 and use a Boeing 737-700ER outfitted with 36 seats and an extra fuel tank. The 737-800 is a stretched version of the 737-700, and replaces the 737-400. It also filled the gap left by the decision to discontinue the McDonnell Douglas MD-80 and MD-90 following Boeing's merger with McDonnell Douglas. The -800 was launched by Hapag-Lloyd Flug (now TUIfly) in 1994 and entered service in 1998. 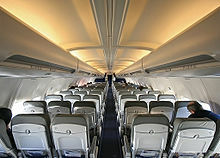 The 737-800 seats 162 passengers in a typical two-class layout, or up to 189 in one class. It competes with the A320. For many airlines in the U.S., the 737-800 replaced aging Boeing 727-200 trijets and MD-80 series and MD-90 aircraft. The P-8 Poseidon is a 737-800ERX ("Extended Range") that, on June 14, 2004, Boeing's Integrated Defense Systems (now called Boeing Defense, Space & Security) division beat Lockheed Martin in the contest to replace the US Navy's P-3 Orion maritime patrol aircraft. Boeing later introduced the 737-900, the longest and most powerful variant to date. Alaska Airlines launched the 737-900 in 1997 and accepted delivery on May 15, 2001. Because the -900 retained the same number of exits as the -800, seating capacity was limited to 189 in a single-class layout. The 737-900 also retained the maximum takeoff weight (MTOW) and fuel capacity of the -800, trading range for payload. These shortcomings until recently prevented the 737-900 from effectively competing with the Airbus A321. The 737-900ER, which was called the 737-900X prior to launch, is the newest addition and the largest variant of the Boeing 737 line and was introduced to meet the range and passenger capacity of the discontinued 757-200 and to directly compete with the Airbus A321. An additional pair of exit doors and a flat rear pressure bulkhead increase seating to 180 passengers in a typical 2-class configuration or up to 215 passengers in a single-class layout. Additional fuel capacity and standard winglets improve range to that of other 737NG variants-around 3200 nm. The first 737-900ER was rolled out of the Renton, Washington factory on August 8, 2006 for its launch customer, Lion Air. Lion Air received this aircraft on April 27, 2007 in a special dual paint scheme combining the Lion Air lion on the vertical stabilizer and the Boeing livery colors on the fuselage. The 737-900ER is now the standard 737-900 model offered by Boeing. The 737-900 non-ER model has been discontinued in favor of the -900ER. The Boeing Business Jet is a customized version of the 737. Plans for a business jet version of the 737 are not new. In the late 1980s, Boeing marketed the 77-33 jet, a business jet version of the 737-300. The name was short-lived. After the introduction of the next generation series, Boeing introduced the Boeing Business Jet (BBJ) series. 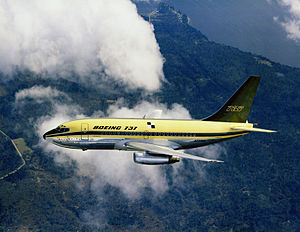 The BBJ1 was similar in dimensions to the 737-700 but had additional features, including stronger wings and landing gear from the 737-800, and has increased range (through the use of extra fuel tanks) over the other 737 models. The first BBJ rolled out on 11 August 1998 and flew for the first time on September 4. On October 11, 1999 Boeing launched the BBJ2. Based on the 737-800, it is 5.84 metres (19 ft 2 in) longer than the BBJ, with 25% more cabin space and twice the baggage space, but has slightly reduced range. It is also fitted with auxiliary belly fuel tanks and winglets. The first BBJ2 was delivered on 28 February 2001. Boeing's BBJ3 is based on the 737-900ER. The BBJ3 has 1,120 square feet (104 m) of floor space, 35% more interior space, and 89% more luggage space than the BBJ2. It has an auxiliary fuel system, giving it a range of up to 4,725 nautical miles (8,751 km), and a Head-up display. Boeing completed the first example in August, 2008. This aircraft's cabin is pressurized to a simulated 6,500-foot (2,000 m) altitude. Picture - Polynesian Blue 737-800 at Wellington International Airport, New Zealand. As of July 2010, 383 Boeing 737-200 aircraft were in commercial service. In total, over 6,600 units of the Boeing 737 have been built and delivered. Data through end of February 2011. For incidents involving other 737 variants see Boeing 737 Classic incidents and Boeing 737 Next Generation incidents. As of May 2010, a total of 303 incidents involving 737s had occurred, including 148 hull-loss accidents resulting in a total of 4,097 fatalities. The 737 has also been in 106 hijackings involving 324 fatalities. December 8, 1972, United Airlines Flight 553, a 737-200, crashed while attempting to land at Chicago Midway International Airport. Forty-three of the 61 passengers and crew on board plus two people on the ground were killed. This was the first ever fatal incident involving a 737. January 13, 1982: Air Florida Flight 90, a 737-200 crashed in a severe snowstorm, immediately after takeoff from Washington National Airport, hitting the 14th Street Bridge and fell into the ice-covered Potomac River in Washington, D.C.. All but five of the 74 passengers and five crew members died; four motorists on the bridge were also killed. August 22, 1985: British Airtours Flight 28M, a 737-200, caught on fire after a rejected take-off at Manchester Airport, UK, after a crack in one of the combustors of the left Pratt & Whitney JT8D-15 engine. 56 of the 136 passengers and crew died, most due to toxic smoke inhalation. Research following the flight led to many innovations in air safety, including a redesign of the 737's galley area. April 28, 1988: Aloha Airlines Flight 243, a 737-200, suffered extensive damage after an explosive decompression at 24,000 feet (7,300 m), but was able to land safely at Kahului Airport on Maui with only one fatality. Flight attendant C.B. Lansing, who was not in restraints at the moment of decompression, was blown out of the aircraft over the ocean and was never found. September 15, 1988: Ethiopian Airlines Flight 604, a 737-200, suffered a multiple bird strike while taking off from Bahir Dar Airport. Both engines failed and the airplane crashed and caught fire while trying to return to the airport. Thirty-five of 98 passengers died while all 6 crew members survived. August 31, 1999: LAPA Flight 3142, a 737-200, crashed while attempting to take off from the Jorge Newbery Airport in Buenos Aires en route to Cx�rdoba, Argentina. The crash resulted in 65 fatalities. April 19, 2000: Air Philippines Flight 541, a 737-200 crashed near Francisco Bangoy International Airport, Davao City, killing 131 people. October 29, 2006: ADC Airlines Flight 53, a 737-200 crashed during a storm shortly after takeoff from Abuja, Nigeria. All but seven of the 104 passengers and crew are reported to have been killed. August 24, 2008: Iran Aseman Airlines Flight 6895, a 737-200 crashed while attempting emergency landing on return 10 minutes after departure. The airliner was flying from Bishkek, Kyrgyzstan to Tehran. Out of 83 passengers and seven crew, there were 22 survivors. March 1, 2010: Air Tanzania Flight 100, Boeing 737-200 5H-MVZ sustained substantial damage when it departed the runway on landing at Mwanza Airport and the nosewheel collapsed. Damage was also caused to an engine. On 20 August 2010, Chanchangi Airlines Flight 334, operated by Boeing 737-200 5N-BIF struck the localiser antenna and landed short of the runway at Kaduna Airport. Several passengers were slightly injured and the aircraft was substantially damaged. Chanchangi Airlines again suspended operations following the accident. Sources: Boeing 737 specifications, 737 Airport Planning Report, b737.org.uk site. Anderson, David F. and Scott Eberhardt. Understanding Flight. Chicago: McGraw Hill Professional, 2009. ISBN 978-0071626965. Endres, Gx�nter. 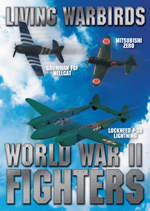 The Illustrated Directory of Modern Commercial Aircraft. Osceola, Wisconsin: MBI Publishing Company, 2001. ISBN 0-7603-1125-0.